"When at peace, prepare for War"
Personality: He is a determined soldier who fights for the greater good. Character History: He has always been a soldier who fought on the front lines. 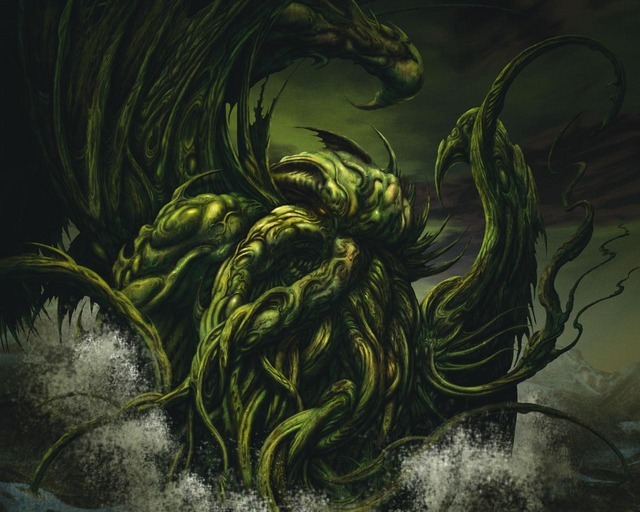 Personality : Very slimy ugly creature, but very cunning and intelligent. 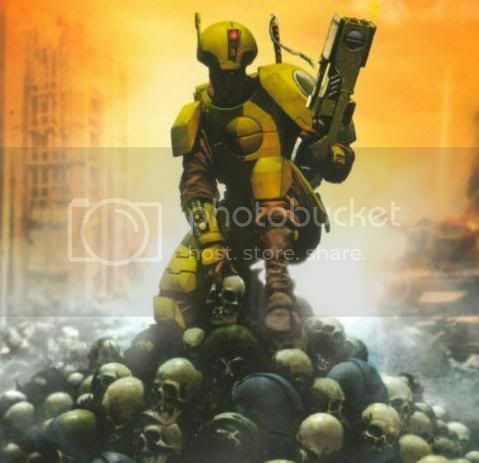 Character History: This Hive Mind was regarded as failed gene experiment created by it's maker Khazaseth, the predesessor of the Hive Fleet Dominion. Even thought, it's ability and psychic energies was tremendous thus outcasted it's overlord and taking over the Hive Fleet. 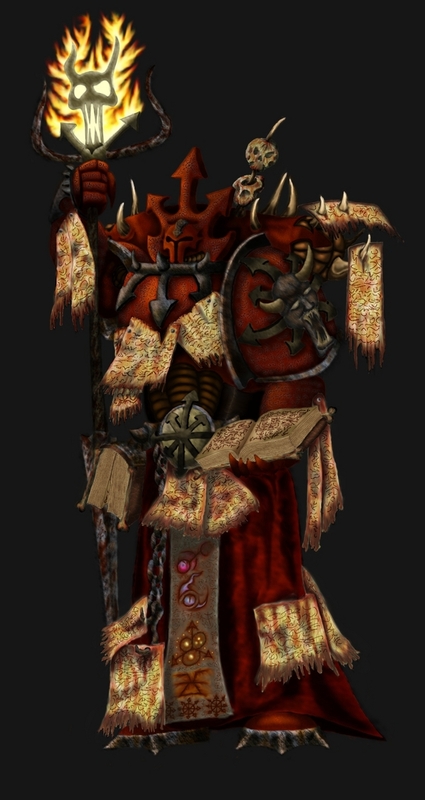 He was the one who establish the first Hive World for it's homeland and commanding the Tyranids swarm forces under the ettiencies of the Cerebrates, Tyranid synapse creatures created by the Twilight Emperor. 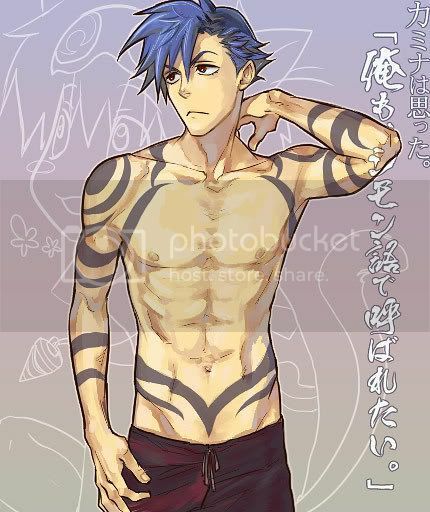 Personality: Good natured and forgetful, he is completely serious in combat. 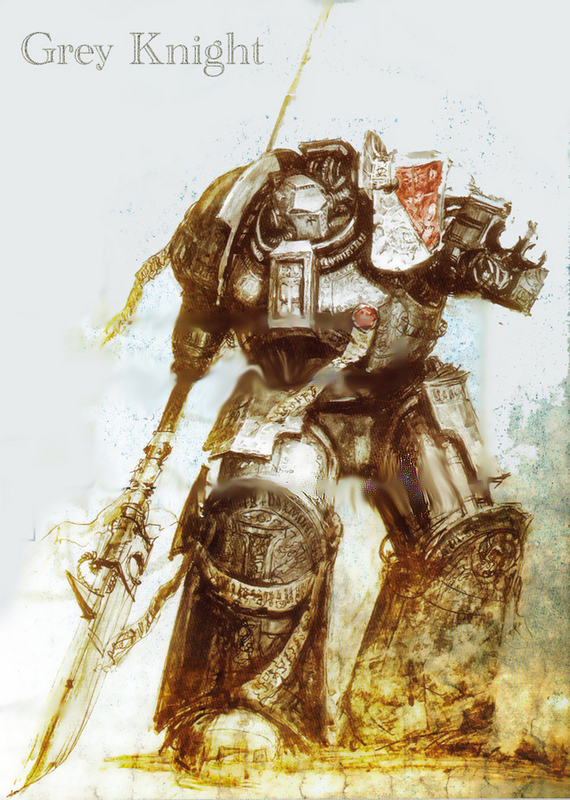 Character History: One of the lost primarchs, he was sent to a distant planet, dead of sentient life. As he grew, he began searching the planet, becoming stronger and teaching himself. He found he had psycker abilities, using these unknowingly. While searching the planet, he found Old One ruins, and spent a lot of time examining them, learning how to use their technology. Years later, he was able to use this technology to escape the planet. Ever since discovering his psycker abilities, he was watched by an unknown Chaos God, who approached Lucian while he was traveling in space. Offering Lucian great power and knowledge, Lucian accepted, unaware of the consequences of this deal. Lucian found a planet inhabited by humans, and with his power, strength and knowledge, he soon became ruler of this planet. This is when he found that his soul was slowly being drained by the Chaos God. Using his powers, he called upon the God in secret, making a new deal with him. He would feed the God souls, buying himself time. Accepting this deal, the God left Lucian alone as long as he was fed fresh souls. Lucian began expanding his empire to other planets, learning of the Emperor of Mankind. Upon hearing this, he renamed his own empire the Lost Shadows. While expanding his empire, he now searches for ways to free himself of the curse of the Chaos God. Personality: Quiet, yet cold. Brutal in comabt. Character History: He serves his Master with precision and utter loyalty. No one alive knows for sure who he is. Personality: Very devoted to her emperor. She is strict, and agile, but she lacks the gentle speech of higher sisters that allow them to become officiant at dealing with the political minds of other members of the order, and the occasional outsider. As such she is seen as rough around the edges. She is usually straight forward and no non-sense, which can grate on the nerves of her fellow sisters, but she can be cunning, and tricky when needed. 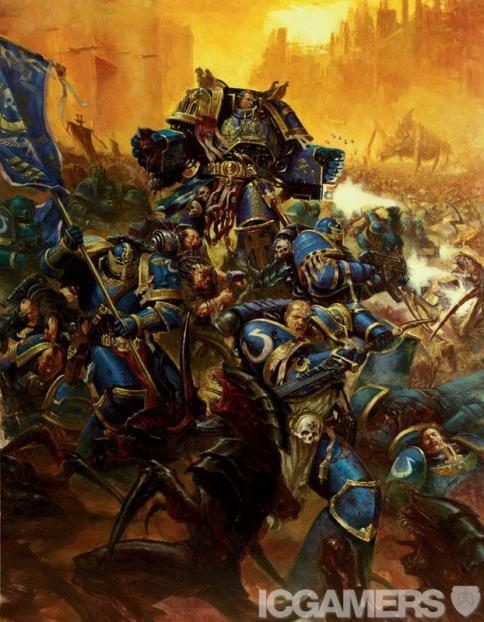 She focuses on her squad for the most part, and has great joy from knowing that the better the battle sisters under her command are, the more joyful the emperor must be, this being important because the emperor is her god. She likes short and to the point battles, and has a dislike for long drawn out battles. 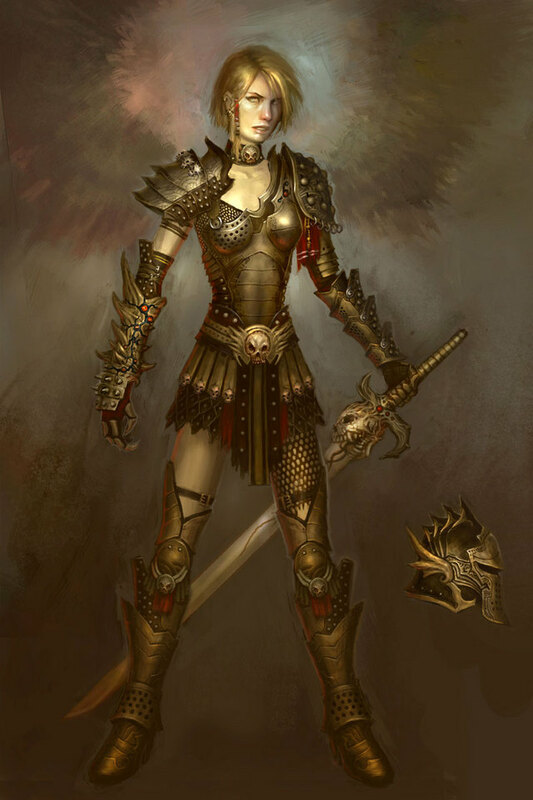 She herself is a great warrior, but she usually keeps to commanding, and lets her sisters fight. Although there might be a rare time when she will fight along side her sisters. Her main special weapon is the serpent of fire, it's blade is sharp and deadly, and carries a purifying flame. This sword was designed and carefully crafted for her and is one of a kind, although it is no the only flame sword in existence. Many of the uneducated think her weapon one of supernatural power, but it is more technical than anything. She also has strong mental powers, but they were confined to that of the purifying flame; which is nothing more than the manipulation of power, there really is a very logical underlying cause for the appearance of the flame, but many are not aware of that. Character History: Cassandra (Cass to those who are very close to her...there are very few of these ppl.) was born on a Terran planet to a retired soldier and his first wife who died giving birth to her. She was raised by her fathers second wife Barbara, and was taught a variety of things, mostly to do with herbs and medicine, up to the age of 7. Barbara was a big fanatic of the Ecclesiarchy (aka the Adeptus Ministorum), and as such Cass was taught daily in the way of the imperial religion. When Cass started to show a pro pension for high mental powers Barbara immediately took her to the nearest order, and begged for an audience with the head Canoness. After an audience was approved Barbara was ushered into a large office, and stayed there for quite a while, while Cass was to sit patiently on a little chair near the door. When the doors where thrown open Cass was ushered in and inspected. She was tested in a variety of ways and in the end she was given over to the order to be trained. So from the age of 7 and up she lived her life with the sisterhood. Thinking about sleeping....Haven't made up my mind yet. 28 / M / College. 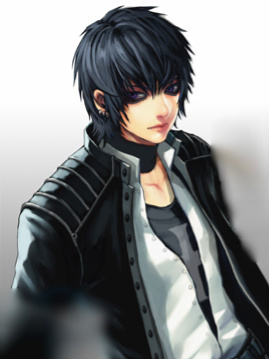 Personality: Kind and gentle most of the time, He becomes cold and almost machine-like when focusing on a task. He enjoys spending time with children, and often does so when he has the time. Unfortunately, despite his jovial personality, he has few friends. Character History:Lydte was raised in a large family on his Homeworld of Tanith. He spent most of his time caring for his Brothers and Sisters, when he wasn't helping his Father in his Woodshop. As a majority of the imperiums knows, The Tanith homeworld is Ideal for scouts, as the constantly shifting forests of nalwood seem to ingrain an unerring sense of direction in it's inhabitants. Lydte was there, and signed on when Ibram Gaunt was there for the Founding. He saw his Home burn, along with his family and everyone he knew. From that day on, he trained endlessly, until he was on par with Sergeant Mkoll, The Tanith's top Scout, and Larkin, their Sniper. At a young age he was promoted to an NCO. There are some within his regiment that believe he is warp-touched, and they may very well be right. So...midterms were fun, then I got a job, so I might not be on as much...sorry. I may be a monster, but at least I'm not a jerk. Personality: Due to the death of his dear captain he now hunger for victory in honor for his friend. Soldiers in his squad always look up to him as a "Big Brother", "Teacher", and "Captain"
Character History:Veteran in the battle of Ruhr 3. Had a one-one duel with a possessed chaos marine and miraculously survived and in that duel he lost harm and replaced it with a prosthetic limb. Now leading his squad in many fronts assigned to them. He started out as an Assault Marine and he rose through his ranks and finally placed in the veteran squad. He had a best friend his own captain. 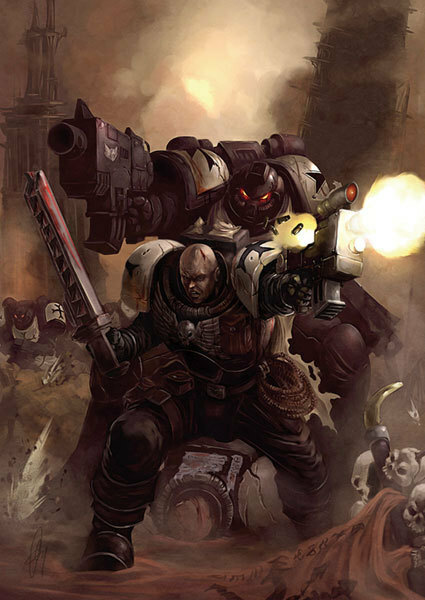 For one of his battles he rescued his captain and friend against a chaos space marine that was about to slice him in half but turns out the enemy marine lost his head. Now years have past since that mission their bonds grew as if their like 1. 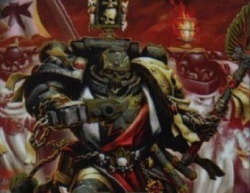 He then lost his friend against a plague marine in his rage he blew the corrupted thing out of its armor using his and the foul beast's sword. Now he became captain of his team and follows the principle of his friend the captain. Character Pictures: He and his battlebrothers against the Tyranids. 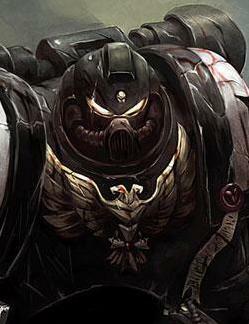 "Pray with me now for there may be no tomorrow if we are not steadfast in our loyalty to our God-Emperor"
Personality:A sergeant who has past up promion to higher ranks in the Imperium to stay with his squad of the best marines his ever fought with and he has told his men that fighting and dieding for the Imperium is the best thing in the world and that no man get left behind. 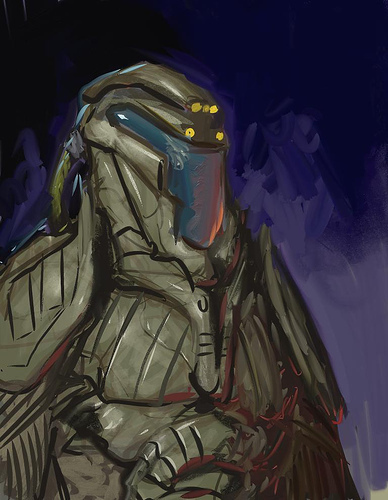 History: Anthius was one in every 100 people to be chose to be trained on Titan. He had fought an endless series of battles against the ruinous powers of Chaos including inside the Eye of Terror. His past remains unknown since the Chamber Militant put a strict prohibition on his profile, but it is said he was found on the street, battered and mortally wounded. Nevertheless, he has proven to be mighty assailable when it comes to Chaos taints. Did some singularity spawn out of the retardeness of my old posts?